This year, I decided to take the week off between Christmas and New Years. At first, apprehension set in- what am I going to do for a full week off? Will I have anything to do? Am I going to go stir crazy? Last weekend my aunt called and asked if I would like some extra furniture. My reply with no hesitation was yes. As I drove out to one of the western suburbs of Chicago with my little car, I thought – hopefully everything will fit! Everything did fit…but it took two trips, including a layover at my parents’ house, which fortunately is close by. I scored a new solid cedar dresser, a drum table, two end tables, wine glasses and a lamp. The new furniture means new projects! First endeavor – rearranging the entryway. I moved out old furniture that Kel and I will sell on Craiglist to make way for two new pieces: the drum table and the dresser. Be sure to check out future posts for before and after pictures of those items! 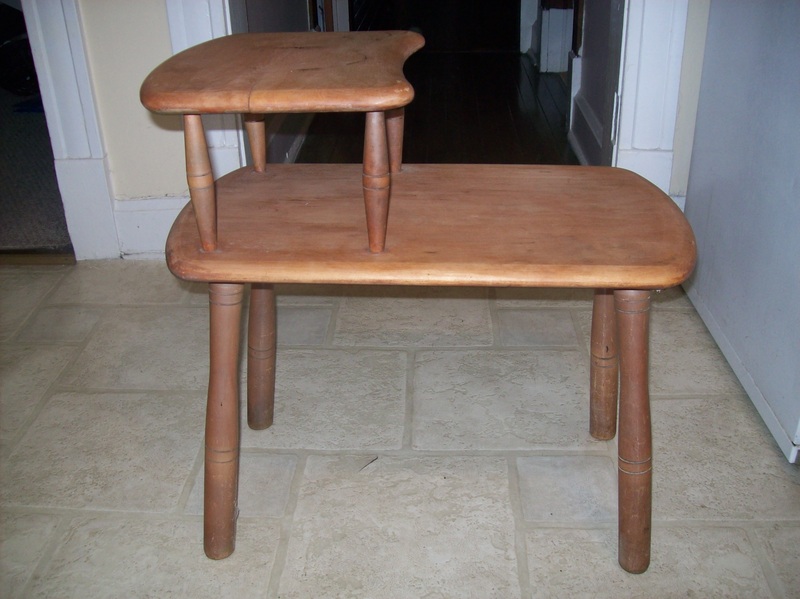 Second endeavor – rearranging my bedroom to accommodate the new end tables. The end tables are a welcome addition to a room where just yesterday books, pens, a lamp and an alarm clock were sprinkled on the floor, much to my feet’s demise in the morning. So on my first official “day off” I stripped the end tables. Using my power sander, I hummed along removing the original clear gloss on the maple tables. 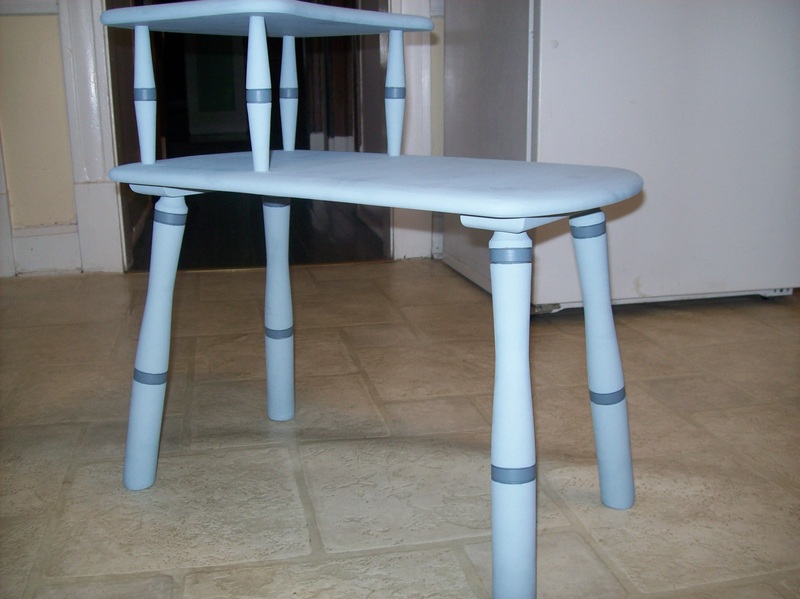 Thanks to our friend Holly who swapped paint with us (read more about that post) – I have a lovely blue gray and dark gray colors to paint with. Final result – two coats of the blue gray with striping accents of a darker gray. I’m stoked, and so are my feet.